A unique sport shifter engineered for the Hyundai Elantra enthusiasts. This Sport Shifter has all of the features a performance minded driver requires. The finest materials, CAD designed, coupled with a short throw results in one extraordinary precision shifting system. This stylized precision shifter includes many of the key features found in race shifters including a stainless steel stick assembly and a CNC machined aluminum pivot assembly with a roller bearing. All of this combined with a simple straightforward installation provides a professional level shifter. 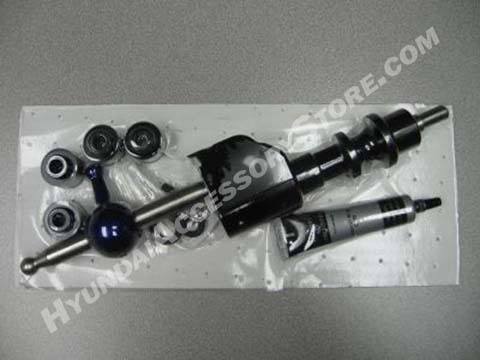 Designed and manufactured by B&M Racing for Hyundai Motors.